Apple, Alphabet and Microsoft are among a host of top-tier US companies that have become a force in the global bond market, as they pump hundreds of billions of dollars into government and corporate debt. Their holdings of Treasuries, corporate, agency and municipal debt, as well as asset- and mortgage-backed securities, means they collectively have more firepower in debt and credit markets than high-profile asset managers including AllianceBernstein, Invesco and Franklin Templeton. “They are asset managers in their own right,” Ramaswamy Variankaval, head of JPMorgan’s corporate finance advisory group, said of the companies. A reluctance by American multi-nationals to repatriate profits generated overseas has pushed the size of the US corporate cash piles to more than $2tn, a rise of 50 per cent over the past decade and more than double the levels at the turn of the century, according to the Federal Reserve. Corporate treasurers who have piled into bonds appear to be exacerbating the bond market rally, lowering borrowing costs and convincing companies to issue even more debt while rates are low. That trend could rapidly reverse should inflation return, speeding up a sell-off that would send yields sharply higher. In total, the 30 companies, which include venerable household names like Ford, Coca-Cola and Boeing, have more than $1.2tn in cash, cash equivalents, marketable securities and investments, according to the FT analysis. While corporate treasurers typically first turn to a deposit in a commercial bank account or an investment in short-term money market funds and time deposits, they are increasingly extending beyond that sector as interest rates have remained near zero for much of the past decade. The 30 companies have amassed a portfolio of more than $400bn of US corporate bonds, representing nearly 5 per cent of the outstanding market. They compete for such debt alongside pension funds, sovereign wealth funds and other investors, helping to drive down borrowing costs for corporate America. Yields on high-quality corporate bonds have tumbled in 2017 to less than 3.1 per cent, the lowest level since last November’s US presidential election. The willingness to invest in a wider array of fixed-income instruments is also partly a legacy of the financial crisis, when runs on ultra-safe money market funds forced corporate treasurers to pay more attention to how they invest their cash. “They [the companies] recognise that with all these changes in the marketplace — money market reform, low rates, the evolution of credit risk —, they realise the world is more sophisticated than it was 10 years ago and they can’t simply put money into a money-market account,” said Jerome Schneider, head of Pimco’s short-term and funding desk. While their effect on capital markets has become more dramatic, companies have taken different approaches to managing their capital. Some, like Apple — which accounts for more than a fifth of the overall cash, cash equivalents and other securities measured by the FT — have built their own teams to manage their capital. Others hire traditional asset managers. Many have hired “people with sophisticated [financial] backgrounds” to manage these investments”, said Mr Variankaval. Wall Street has hungered for a tax overhaul, and with good reason. If it spurs stronger economic growth, corporate borrowing and finance firms’ profits could jump. A lower corporate tax rate as called for in the tax framework unveiled by the Trump administration Wednesday should immediately boost banks’ own profits. Bankers expect some pain points, but are confident the benefits will outweigh them. 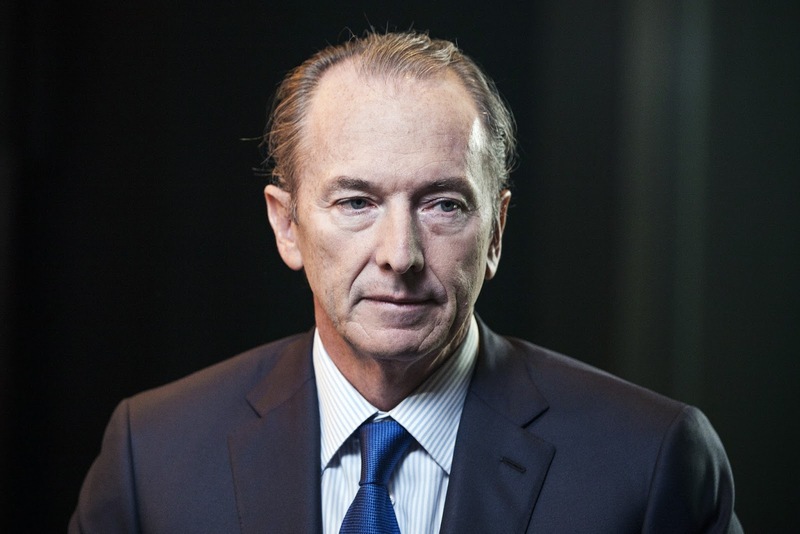 Morgan Stanley Chief Executive James Gorman said at an industry conference in June that a 25% corporate tax rate would lift his bank’s earnings by 15%, assuming no changes to the business mix. The Trump framework calls for a 20% rate, so the benefit could be even greater. Citigroup Inc. has said that a cut to a 25% rate plus a tax holiday on foreign earnings would have boosted its annual net income by $800 million, or by about 5%. It would also improve the bank’s return on equity by more than 1 percentage point, estimated John McDonald, an analyst at Sanford Bernstein. Any fillip in economic growth could potentially help reverse a decline in business-loan growth experienced since late last year. Some bank executives have attributed this slowdown to clients waiting for a tax overhaul to be finalized before ramping up borrowing and investing in their businesses. A lack of clarity has also been cited as a slowing factor for deal-making on companies’ part. Smaller banks could also reap bigger gains since they have relatively high effective tax rates and businesses that are almost purely domestic, Evercore ISI analysts said in a note. A potential tax cut from 35% to 28% could boost 2018 earnings for regional banks by a median 9%, they said. The Trump proposals also spare an important business for banks and other lenders: mortgages. The administration’s document calls on Congress to retain the deduction for mortgage interest. A change to that could have disrupted housing markets. While the framework would leave unchanged certain taxes on investments, including those on capital gains and dividends, the money management industry stands to benefit. If a lower corporate tax rate lifts profits at many U.S. companies, this should add fuel to the stock-market rally and goose returns on equity funds. Smaller and midsize companies should make out particularly well since they tend to pay a higher-tax rate than larger peers, said Joseph Amato, president of $271 billion asset manager Neuberger Berman Group LLC. Some money managers such as WisdomTree Investments Inc. would also benefit directly. Last quarter, it reported a 45.5% tax rate largely due to overseas losses it couldn’t deduct. Executives have said a lower rate would benefit that, as well as help support the company’s dividend. Not that there won’t be some downsides. Among them: A number of banks have what are called “deferred tax assets.” These are created by losses, in many cases huge ones racked up during the financial crisis, and act as IOUs that can be used to offset future tax bills. Those will lose value. Citigroup Inc., for example, had $46 billion of the assets at the end of the second quarter. A reduction in the corporate tax rate to 20%, plus a shift to a territorial regime that only taxed income generated in the U.S., could reduce the assets’ value by more than $15 billion, according to figures the bank has provided. Citigroup would have to take that charge as a one-time hit to profits. 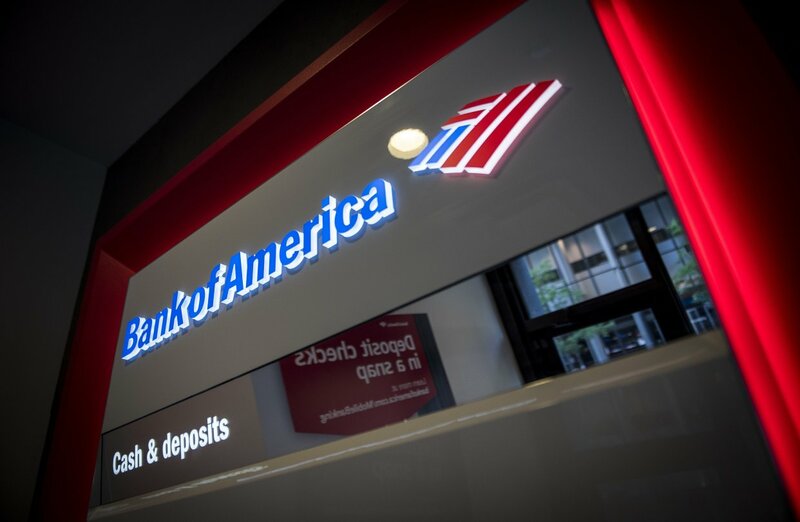 Bank of America had $19.2 billion in net deferred tax assets at the end of 2016. Only about $7 billion of these apply to the U.S. and so would be subject to revaluation. That would lead to a write-down of around $3 billion if the tax rate was lowered to 20%. The benefit of lower rates, though, would likely make up for that within a year or so through higher profits, a person familiar with the matter said. Another issue is a proposal to partially limit companies’ ability to deduct net interest expense. The administration didn’t define what partially limited meant. That is important. Bank executives have said that they hope this will mean that financial institutions are exempted. If not, their business model would be under threat. Financial firms borrow huge amounts of money to lend out and invest. In that sense, money is their raw material. If banks couldn’t deduct the interest expense, which is akin to nonfinancial companies’ cost of goods sold, that would create a huge tax hit. For bank clients, limiting the deductibility of net interest expense could make debt issuance less attractive. That, in turn, could crimp the business of helping companies raise and sell bonds and loans. So-called debt-capital-markets businesses accounted for $10.4 billion in revenue at the dozen biggest global banks in the first half of 2017, or 13% of their total investment-banking and trading revenue, according to industry data tracker Coalition. That figure grew 18% from a year earlier. And it was the only investment-banking business to have done better in 2016 than it did in 2015. “Changing the deductibility of interest will have a profound impact on the foundations of corporate finance,” said Reuben Daniels, managing partner at EA Markets LLC, which advises companies on capital raising. For the private-equity industry, which relies heavily on debt financing, that change could translate into firms paying lower prices for assets. That corporate interest is deductible, but dividend payments aren’t, has skewed how companies fund their operations, creating a bias toward debt. In the 1980s, it enabled the rise of leveraged buyouts in which financiers borrowed heavily to buy companies, then wrote off the interest payments. More recently, it has underpinned stock buybacks. 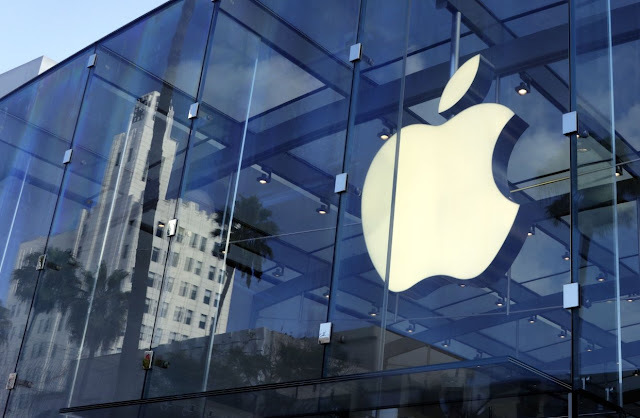 Apple Inc., for example, has borrowed nearly $100 billion in recent years, much of it to repurchase shares. Just this week, investment bank Greenhill & Co. said it would borrow $300 million to buy back stock whose dividend payouts had become a burden. What’s more, many American companies borrow in the U.S. to avoid having to repatriate overseas cash, which would be taxable. Putting equity and debt on more equal footing—especially if coupled with changes that allowed companies to bring home overseas cash at no or lower taxes—would likely decrease debt-underwriting levels. But banks might make that back in higher stock issuance, where fees are fatter. They could also find work helping companies adjust to the changes through, say, issuing preferred equity to replace debt, EA’s Mr. Daniels said. And debt issuance wouldn’t disappear if the interest-expense deduction is curtailed. Companies will still need to finance themselves. —Miriam Gottfried contributed to this article. The U.S. has exceeded $20 trillion in national debt — the nation was a cool $20.16 trillion in the red as of Friday — and now that it’s crossed that mark, get ready for some finger pointing over who’s to blame. If history shows anything, it’s that both parties share responsibility for boosting the debt. Fighting wars, big tax cuts and economic stimulus packages have all added to the burden over the years. President George W. Bush also signed tax-cut packages into law in 2001 and 2003. Individual-income tax rates were cut, as were taxes on capital gains and dividends. This table shows where the Bush tax cuts fall in size compared to other major bills. President Barack Obama extended the cuts for two years in 2010, and made most of them permanent in 2012. Kathy Ruffing, a consultant to the Center on Budget and Policy Priorities, has estimated that the cuts originally enacted during the Bush years will account for $5 trillion of debt outstanding through fiscal 2017. That includes interest. With the U.S. still reeling from the Great Recession, President Barack Obama signed the American Recovery and Reinvestment Act in February 2009. In addition to tax cuts, Obama’s stimulus bill spent billions of dollars on unemployment benefits and infrastructure projects. Obama said the plan would be “a major milestone on our road to recovery,” but Republicans trashed the measure as a waste of government money. Originally scored at $787 billion, the Congressional Budget Office in 2015 put its price tag higher, at $836 billion. Including interest payments, it added $1 trillion to the debt through fiscal 2016, according to the Committee for a Responsible Federal Budget. The debt is projected to keep growing as the U.S. spends more on programs for its aging population. Last spring, the Congressional Budget Office estimated that if current laws remain the same — that is, if President Donald Trump and the Republican Congress were to do nothing — debt held by the public would rise to 150% of the total economy in 2047 from the 77% it’s at now. Trump has vowed a few polices that could have a big impact on the debt, including major tax cuts and a military buildup. What’s more, he pledged to leave programs including Medicare and Social Security unchanged. A tax plan Trump proposed during the campaign would add about $7.2 trillion to the debt over a decade, the Tax Policy Center estimated. On Friday, Trump signed a bill to suspend the debt limit through Dec. 8, enabling the Treasury to borrow more money. The president also said last week he saw “a lot of good reasons” to eliminate the debt ceiling, though that plan would likely meet stiff resistance in the Republican-controlled Congress. But what does illiberal capitalism entail, and how compatible is it with illiberal democracy? For starters, as nationalists, Trump, Kaczyński, Erdoğan, Putin, and Orbán regard the market economy not as a means of boosting dynamism, efficiency, prosperity, and individual freedom, but mainly as an instrument for strengthening state power. Historically, there have been various schools of authoritarian right-wing thought about the relationship between the market and the state. At one extreme, the Nazis established a command economy while maintaining private property and a high level of income inequality. At the other extreme, early twentieth-century social Darwinists in Europe and the United States called for unfettered domestic free markets in which only the “fittest” would survive, leading to a stronger country. Today, Russia sits at one end of the illiberal-capitalist spectrum. Putin views the collapse of the Soviet Union as largely an economic failure, and he recognizes that private property and the market can make the Russian economy more resilient in the face of Western sanctions. But he also believes that private-property rights come second to the needs of the Russian “security state,” which means that ownership is always conditional. As befits a former KGB officer, Putin also believes that the Russian state has “ultimate ownership rights” to its citizens’ private assets not just in Russia, but also abroad. Russian oligarchs and companies operating internationally – such as those that have interacted with The Trump Organization – are thus potential instruments of Russian foreign policy. Hitler famously quipped that while the Bolsheviks had nationalized the means of production, the Nazis had gone further by nationalizing the people themselves. This is similar to – albeit more “total” than – Putin’s own understanding of the relationship between capitalists and the state, according to which even the richest Russian oligarch is essentially a serf of the state. Under Russia’s highly concentrated ownership structure, the Kremlin’s control of wealth is synonymous with political control. Rather than trying to control millions of bourgeoisie, the state can deploy secret police to manage just a few dozen oligarchs. Trump is at the other end of today’s illiberal-capitalist spectrum: no less comfortable than Putin with deep income inequalities, but not as inclined to use the state to favor particular businesspeople (other than himself). As a result, his administration has been using executive orders to roll back many of the regulations that former US President Barack Obama introduced. Still, there are exceptions to Trump’s support for free-market policies. He is in favor of protectionism and cheap money, presumably because these positions play well with his core political constituency – white working-class voters. If Trump goes down the protectionist road, however, US trade partners will retaliate, often with measures targeted directly at his base, as when the European Union recently threatened tariffs against Kentucky bourbon. Given that threat, Trump’s economic populism will most likely manifest itself through abstinence – avoiding pro-market measures that clearly hurt the white working class. In Turkey, Erdoğan came to power in 2003 as the champion of devoutly Muslim Anatolian entrepreneurs. Opposing the traditional statism of Turkey’s Kemalist ruling elites, Erdoğan introduced pro-market reforms and feigned a commitment to the EU-accession process by supporting Turkish democratic institutions. Having achieved his political aims, Erdoğan is now dispensing with his commitment to democracy. But it remains to be seen if he will do the same with market capitalism. Even when he first came to power, Erdoğan’s support for free markets never stopped him from denouncing imaginary economic conspiracies. But if he tries to usher in a return to statism, Turkey’s rising entrepreneurial class may well turn on him. In Hungary, Orbán’s approach to capitalism has been more complex. Although he is often called a “populist” in the West, his approach combines social Darwinism and nationalism. On the one hand, he has introduced a flat income tax that favors the wealthy and a child tax credit that benefits only higher-income households; on the other hand, like Putin, he maintains a coterie of “friendly” oligarchs who help shore up his power, not least by controlling the Hungarian media. Kaczyński is the most economically populist of the illiberal capitalists. He started out as a social Darwinist, once introducing a child tax credit that would later inspire Orbán. But since his Law and Justice Party (PiS) returned to power in 2015, Kaczyński’s flagship policy has been monthly cash payments of €115 ($138) to Polish families for each child after the first. Moreover, Kaczyński has pushed for raising the minimum pension – rather than all pensions – and for lowering the retirement age, which plays well among rural, lower-income voters, even if it renders the pension system less sustainable. When it comes to trade, Kaczyński’s government loudly protests protectionism directed against Poland’s interests, as in the case of changes to the regime for delegated workers proposed by French President Emmanuel Macron. Today’s examples of illiberal capitalism range from toleration of extreme inequality to favoring heavy redistribution, and from overweening statism to broad deregulation of markets. Beyond a shared inclination toward protectionism, they do not seem to have much in common. But far more important than each government’s economic policies is its political orientation. It is no coincidence that all five leaders discussed here have attacked the independence of their country’s judiciary. To be sure, Putin’s and Erdoğan’s crackdowns have been far more effective than Trump’s tweets or PiS’s stalled attempt at judicial reform this summer. But in each case, independent judges are viewed as rival power holders. When politics comes first, there is a temptation to bend the law toward one’s own ends. But without the rule of law, businesses lose confidence that contracts and private-property rights will be enforced or independently arbitrated, and the economy cannot sustain strong long-term growth. That is why illiberal democrats who place politics first will ultimately undermine the prosperity and strength of their countries, and thus their own legitimacy. The state comptroller of Illinois—the most financially troubled state thanks to its pension crisis—summed it up well. He said: “We can’t go bankrupt and we can’t print money. Last year, Americans paid over $300 billion in property taxes. In Illinois and other states, property tax bills exceeding $10,000 per year are not uncommon. I think gold will reach not just multiyear highs, but all-time highs. Just look at what’s happened in Colorado, which legalized recreational use in 2012. Last year, its marijuana industry generated $1.3 billion in sales and $200 million in tax revenue. Legalized medical marijuana has already been approved in 29 states, plus Washington, DC. And eight states (plus DC) have approved recreational use.